Join us for Worship & Dance! The dance weekend we hosted last year was a great success, so we are making it an annual event! 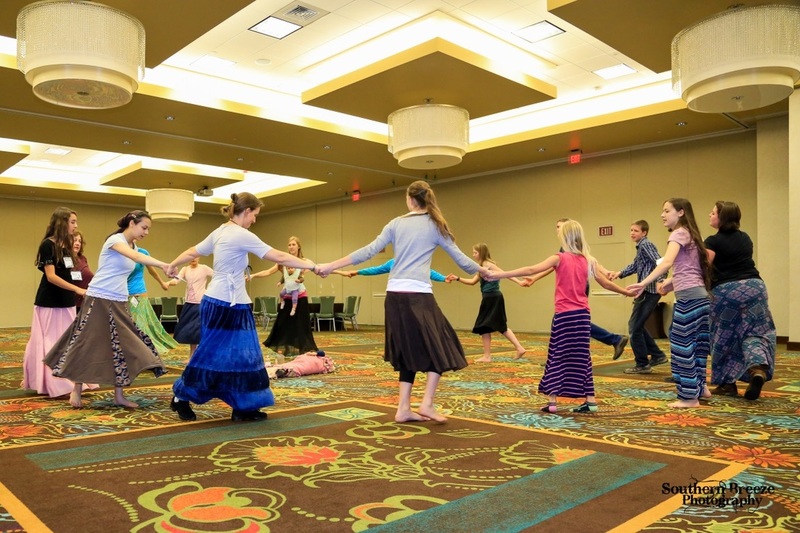 This is a great time to learn many dances, including those we will be dancing during Sukkot – Feast of the Nations 2017. Whether you are a musician, dancer or you just enjoy praise & worship, this is a great opportunity for you. If you are not coming to celebrate Sukkot with us, you are of course welcome to join the dance weekend for great fellowship and lots of music & dancing. Please register with us if you are planning on coming so we can have a head count and prepare the correct amount of food for the meals. Thank you! The dance classes will be for all levels, from very beginner to advanced. We will cater the classes to the need of the participants. Dogwood Tabernacle in Seymour, MO. Please register for the event, so we can have a head count to help us plan enough food for the meals. There is no registration fee since this event is fully based on donations and volunteers. Donations will help cover the cost of group meals, costs of using the building and whatever is left will be seed money for the next Shema Ministries event. – Modest, comfortable clothes for dancing – For the ladies, please wear leggings under your skirt for dancing at all times. Group meals will be provided. Just bring a dish to share for the 2 potlucks: Friday dinner and Saturday Oneg. Donations to Shema Ministries are greatly appreciated to offset the cost of the provided meals. We recommend to bring your own snacks if you think you will need those. If you prefer to bring your own meals, no problem. We have 2 refrigerators and a chest freezer, however some of the space in those will be taken up with the group meals we have prepared ahead of time. We have one shower available for anyone to use during the weekend. Bring your own towels. Camping space is available for RV’s or tents behind the building. However, there are no electrical, water or sewer hookups available of any kind. contact us to let us know and we will try to make that possible. We would like to have quiet time in the church and camping area from 10:30pm until 7am. Feel free to continue great fellowship with quiet conversations and games during these hours. Thank you!